Between 1979 and 1980, there were 9000 Indian students in the US which formed 3.1 per cent of the international student population. The United States has historically been the most lucrative economy to migrate to for Indian students. The past decade has seen a massive rise in the number of Indian students studying in the States. Between 1979 and 1980, there were 9000 Indian students in the US forming 3.1 per cent of the international student population. This number rose to 1,65,918 between 1980 and 2016, increasing the percentage to over 31.2 per cent of the total international student population. More and more students are increasingly resorting to the EB5 investor visa program to remain in the United States after graduating. The EB-5 Investor visa program enables students/their families to invest a minimum amount of USD 500,000 (approx. 3.3 crore) in target employment areas through a regional center (government approved bodies) and generating 10 American jobs. In return, the investor and their immediate family (children under 21 years) receive a conditional green card in two years. This could translate to permanent residency and subsequent citizenship in the US. Why should you opt for the EB-5 visa? 1. Students are increasingly opting for the EB-5 visa instead of the H-1B as it opens a variety of opportunities for those who are aspiring to permanently relocate to the US. One of the most pressing reasons for this is the clash between the H1-B program and the Trump government. 2. Traditionally, Indian students have used the H1-B program to secure post-graduation employment in the United States. With the number of International students now vastly exceeding the number of H1-B visas available each year and with the Trump government attempting to tighten the programme further, the parents of many Indian students have turned to the EB-5 programme. 3. Secondly, the EB5 programme offers students permanent residency in the United States with the right to engage in any lawful occupation they choose. While the H1-B, L and other programs require an employer to be willing to sponsor an applicant an Indian student who has an EB5 “Green Card” does not require sponsorship. Students who require sponsorship to find work are generally at a significant disadvantage. 4. Lastly, as permanent residents of the United States, Indian students may be entitled to in-state tuition rates, which are very low in comparison to the fee for foreign nationals. Apart from this as the EB-5 holder applies to universities as a US citizen, they are more likely to be accepted to Ivy League colleges as they are not subject to any foreign quota. In the experience of our firm many Indian students in the United States are forming their own businesses. 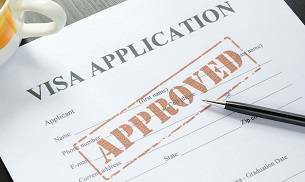 Visa options available to Indian nationals to form their own business are extremely limited; the EB-5 enables a holder to engage in any lawful activity they choose to, including setting up their own business.